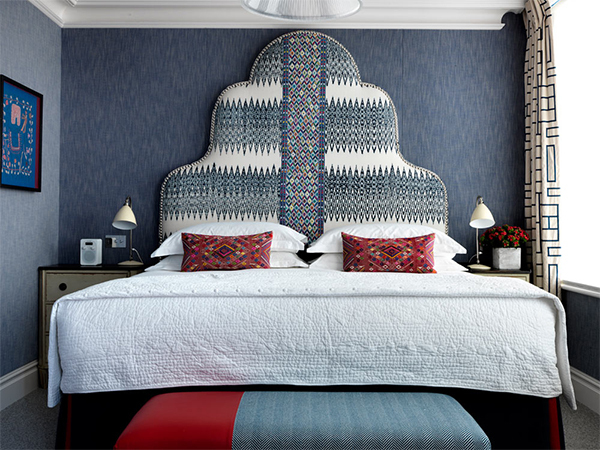 ‘A Rum Fellow’ design studio project for a Soho Hotel, featuring their textiles on a custom headboard. 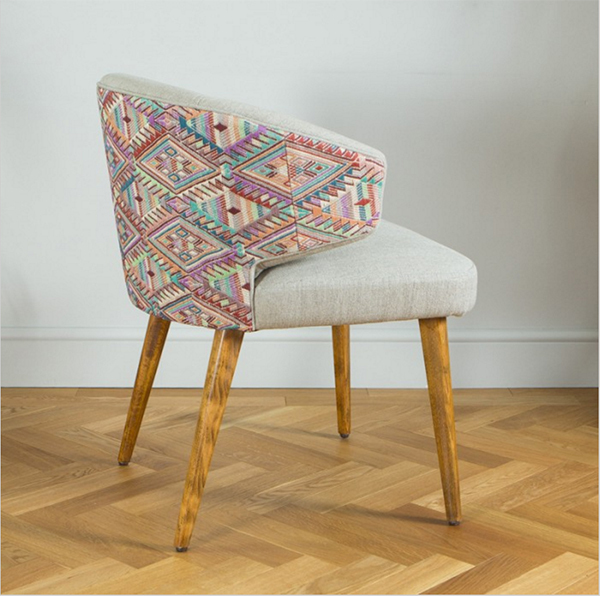 If you’ve been reading this blog for a while then you know that I love woven and embroidered accents, whether that’s an amazing embroidered top or a truly unique piece of upholstered furniture showcasing a stunning woven design. 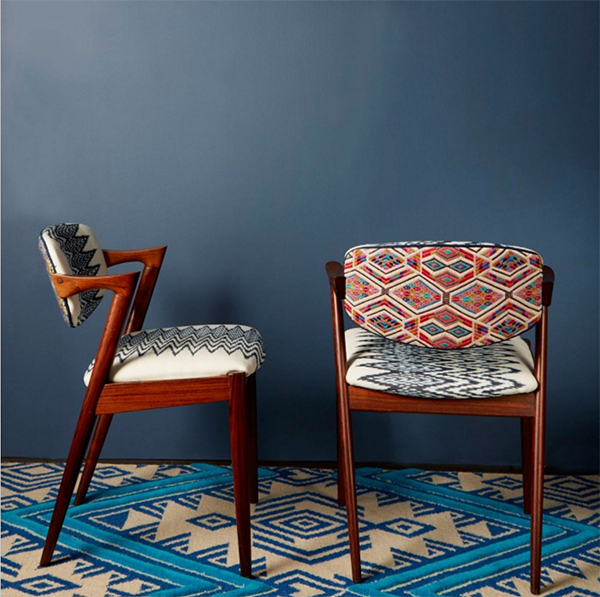 A Rum Fellow design studio is crafting cutting edge woven and embroidered textile designs for furniture and home decor accessories, bringing contemporary energy to this traditional craft. I am loving their unique approach to upholstered furniture! 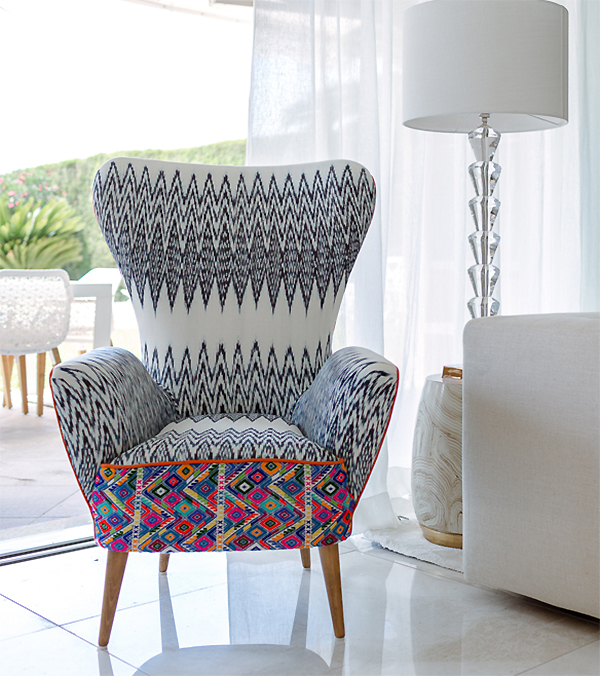 Hand-weaving and embroidery is the key to making each piece of A Rum Fellow furniture feel truly special. One of the best things about decorating with embroidered and hand-woven decor is that you can’t go wrong whether you’re selecting a bright and bold color palette or a more neutral palette. The textures in embroidered and woven designs pop regardless of the colors used, making even the most neutral embroidered designs shine. 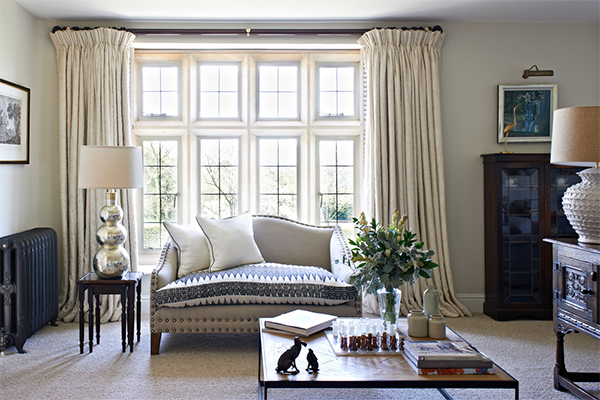 Check out this stunning neutral living room featuring a sofa upholstered in A Rum Fellow hand-woven textiles. A Rum Fellow design studio project for a Country Home. 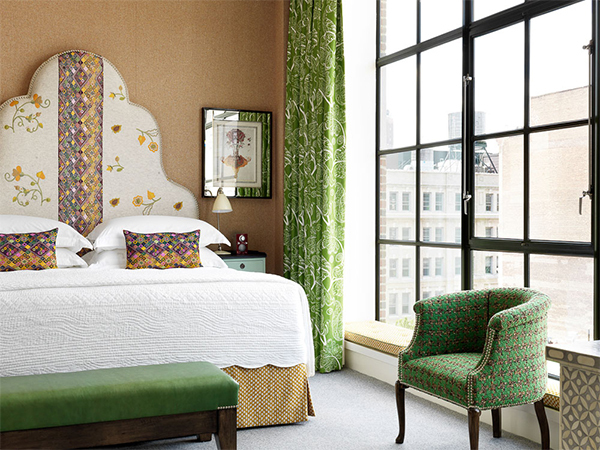 A Rum Fellow design studio project for Crosby Street Hotel. 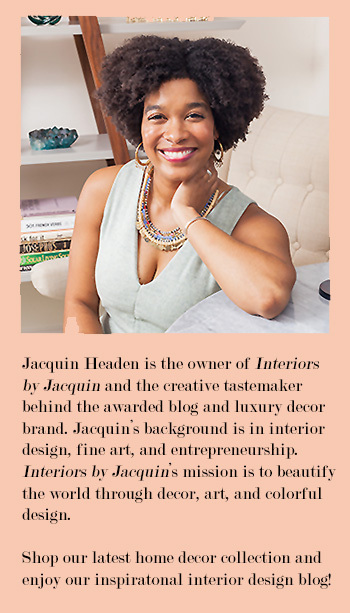 I also can’t get enough of A Rum Fellow’s unique headboard designs, each featuring a different textile from their studio. 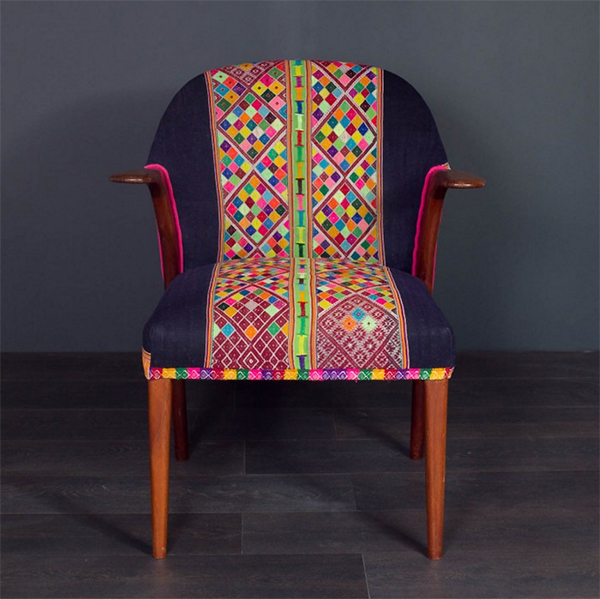 However, my absolute favorite piece from A Rum Fellow is this amazing multicolored armchair designed for a home in Provence. A Rum Fellow is quickly becoming one of my (many) new favorite brands! A Rum Fellow design studio project for a home in Provence. A Rum Fellow is a London-based design studio founded by Caroline Lindsell and Dylan O’Shea focusing on hand-woven textile designs. This great team crafts textile and furniture designs that effortlessly blends the contemporary with heritage design, all from a unique global perspective.